The use of crowdsourcing platforms for data collection in HCI research is attractive in their ability to provide rapid access to large and diverse participant samples. As a result, several researchers have conducted studies investigating the similarities and differences between data collected through crowdsourcing and more traditional, laboratory-style data collection. We add to this body of research by examining the feasibility of conducting social acceptability studies via crowdsourcing. 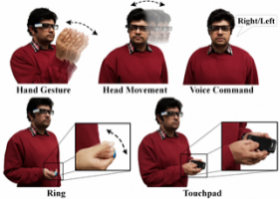 Social acceptability can be a key determinant for the early adoption of emerging technologies, and as such, we focus our investigation on social acceptability for Head-Worn Display (HWD) input modalities. Our results indicate that data collected via a crowdsourced experiment and a laboratory-style setting did not differ at a statistically significant level. These results provide initial support for crowdsourcing platforms as viable options for conducting social acceptability research.